These classically styled wall mounting letter boxes from Sterling secure to walls, gates, and fences for a secure and weather resistant solution when receiving your mail. 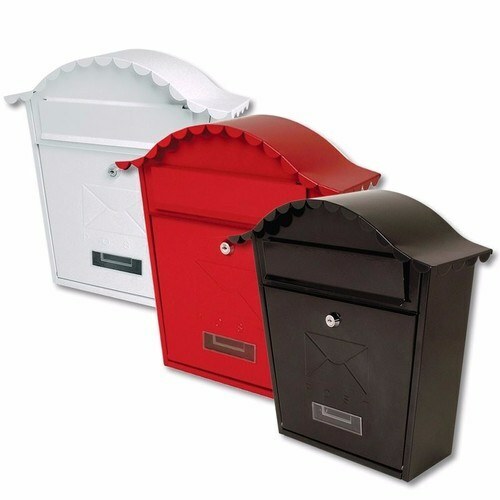 Available in three colors, this box features a powder coated finish on embossed galvanized steel with a name window for easy identification by your postman. Featuring a simple but tried and true design with no parts liable to corrosion, this box features a slim gap which allows full sized letters and small parcels through but is tamper and theft resistant. This model also utilizes Sterlings secure and well-recognised locks which are designed with genuine security in mind.